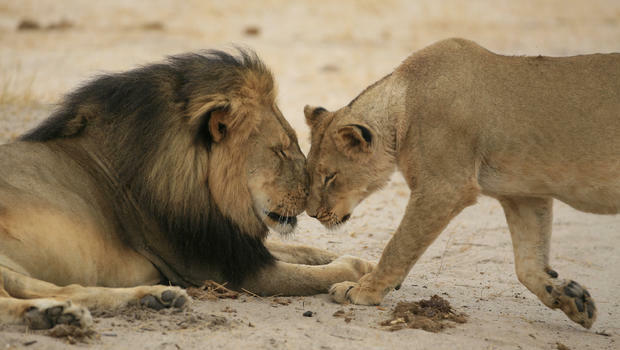 Cecil, the lion, had a family, too. It’s been a distressing couple of weeks. I’ve been especially disturbed by the media firestorm ignited by two individuals in particular who have money to burn and no idea where and how best to spend it. One guy seems to think that stalking and shooting endangered animals sheltered in jungle habitats is a reasonable 21st-century pastime. 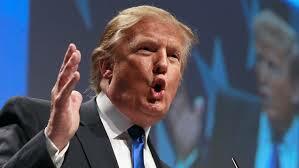 The other, a Presidential wanna-be, shoots off his mouth and rises in the polls despite (or because of?) his racist and sexist rants. And then there’s the current Republican Presidential front-runner. This media savvy windbag’s performance during G.O.P. debate #1 will be remembered not for any substantive political policy but for the laughs and press he generated denigrating the appearance and professionalism of two women (Rosie O’Donnell and Megyn Kelly, respectively). It cost “Dr. 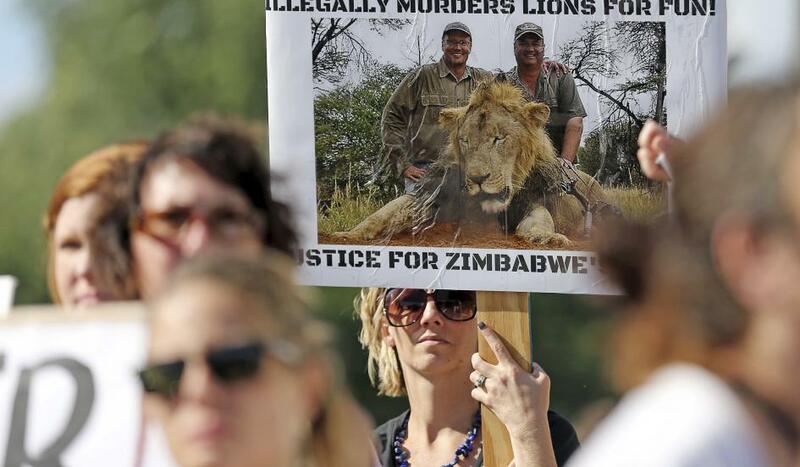 Chopper” $54,000 to turn poor Cecil into a wall trophy; and “The Trumpster” will soak millions into his campaign to stay one step ahead of those he name-calls “stupid” losers. Donald Trump on the stump. I have a better suggestion for both of them. Donate your time and money to those who are working to find a cure for breast and prostate cancer, Alzheimer’s and heart disease…the four key scourges facing Baby Boomers, the generation in which you are both card-carrying members. Or redirect your testosterone, dental expertise, business and real estate acumen and cash to help build and expand services at pediatric hospitals like St. Jude Children’s Research Hospital; or fund schools and communities for abused, abandoned and orphaned children like the Jhamtse Gatsal Children’s Community in India; or work to promote and protect environmental and animal rights initiatives that will assure your children’s children of a healthy planet for all species. The mission of the Jhamtse Gatsal Children’s Community founded by former Buddhist monk Lobsang Phuntsok is introduced in a lovely spirit-booster, Tashi and the Monk. The 45-minute documentary debuts tonight, August 17, 2015, on HBO (8:00 – 8:45 p.m. ET/PT). I suggest you check it out if you need an antidote to the spate of depressing media fare we’ve been experiencing of late. Tashi Drolma is a child on the mend in TASHI AND THE MONK. Photo courtesy HBO. 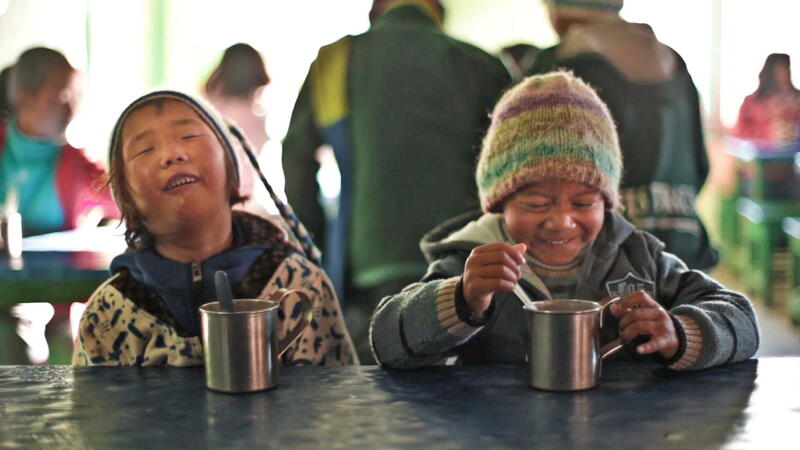 The Jhamtse Gatsal Children’s Community opened its doors in India’s remote Himalayan mountain region in 2006. Jhamtse Gatsal in Tibetan means “garden of love and compassion.” As showcased in Tashi and the Monk, directed by Andrew Hinton and Johnny Burke, the Jhamtse Gatsal Children’s Community is putting “love and compassion” to the best possible use…by providing a safe, healthy haven, positive life goals and welcoming surrogate family milieu for at-risk children previously destined for a life of dereliction and despair. TASHI AND THE MONK explores Lobsang Phuntsok’s mission to found the Jhamtse Gatsal Children’s Community in the district of Tawang in Arunachal Pradesh, India. Photo courtesy HBO. Lobsang Phuntsok was himself a lost boy. Abandoned by his mother and running wild, he was sent to a monastery in South India and eventually studied under the Dalai Lama, became a Buddhist monk and taught Buddhist philosophy in the U.S. and Canada. Determined to put his teachings to work in his homeland, Phuntsok returned to his childhood village with the goal of creating a community for troubled children much like himself, to give them the childhood he never had. Tashi and the Monk follows a new young resident as she learns to quiet her temperamental flare-ups and co-exist within her new environment. The daughter of an alcoholic father, five-year-old Tashi Drolma is a wild child whose often violent, anti-social behavior disrupts life for her fellow residents and teachers and makes it impossible for her to bond with other children in the community. Tashi Drolma shares a quiet moment with her teacher and benefactor, Lobsang Phuntsok, in TASHI AND THE MONK. Photo courtesy HBO. Phuntsok’s’s tender efforts to teach her to respect and not harm others, to share and to find joy and peace where she previously incited chaos are telescoped to fit the short running time of this film. But Tashi’s challenges and improvement are palpable. By all appearances–and this film is replete with smiling, happy faces and glorious shots of the exquisite surrounding landscape–the Jhamtse Gatsal Children’s Community is doing a good job of nurturing and educating its residents (numbering 85 as of this film) via its “three pillars”: an intelligent mind, kind heart and healthy body. Tashi Drolma’s transition from an anti-social trouble-maker into a happy, trusting pal is explored in TASHI AND THE MONK. Photo courtesy HBO. Lobsang Phuntsok is, however, believably torn by his inability to accept all of the troubled children who come his way. He is stymied by insufficient housing and staff, which, of course, translates into the need for more funding. You’ll no doubt be inspired to help him out after you watch Tashi and the Monk debuting tonight, August 17, 2015, on HBO, 8:00 – 8:45 p.m. ET/PT. Check listings for additional HBO playdates throughout August, as well as its availability via HBO On Demand and HBO Go. This entry was posted in Cable, Film, TV and tagged Altruism, Andrew Hinton, Buddhism, Cecil the Lion, Child Abandonment, Donald Trump, Education, HBO, India, Jhamtse Gatsal Children's Community, Johnny Burke, Lobsang Phuntsok, Tashi and the Monk, The Himalayas. Bookmark the permalink.